Hellooooooo friends! It has been a hot minute since I’ve been on here, but I’m back. Promise. Life is somewhat in order and I have time to create content for all you amazing people! That being said, today is a great day to come back to the blogging world and share a spring look for National Women’s History Month with Ann Taylor – more specifically International Women’s Day! During National Women’s History Month, Ann Taylor will launch a video campaign that pays tribute to the powerful women in the workplace and the women who fought for their right to wear pants. The video captures the story between women and pants dating back to 1940 – a great pair of pants is a wardrobe staple for us all, but they stand for so much more than that. 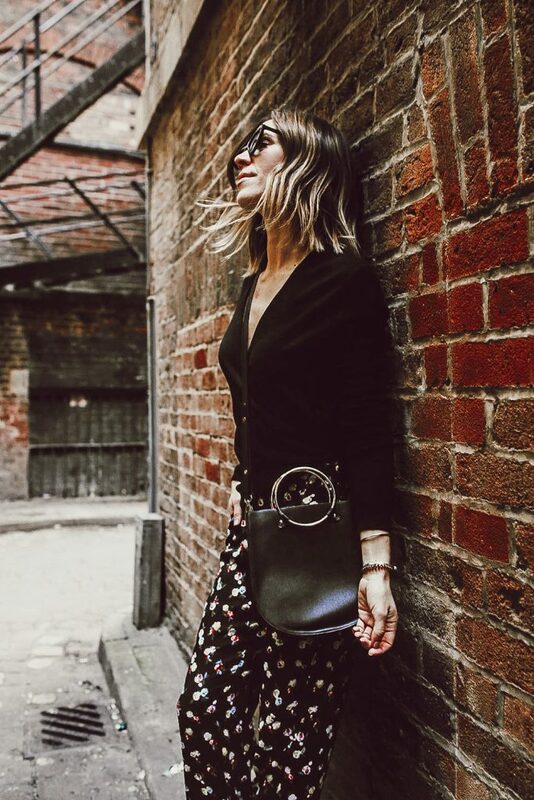 Crossover Sweater c/o // LOVE how this sweater can be taken from day to night so easily. The opening in the front can be pinned for something more conservative or left open to show a lace cami or more! 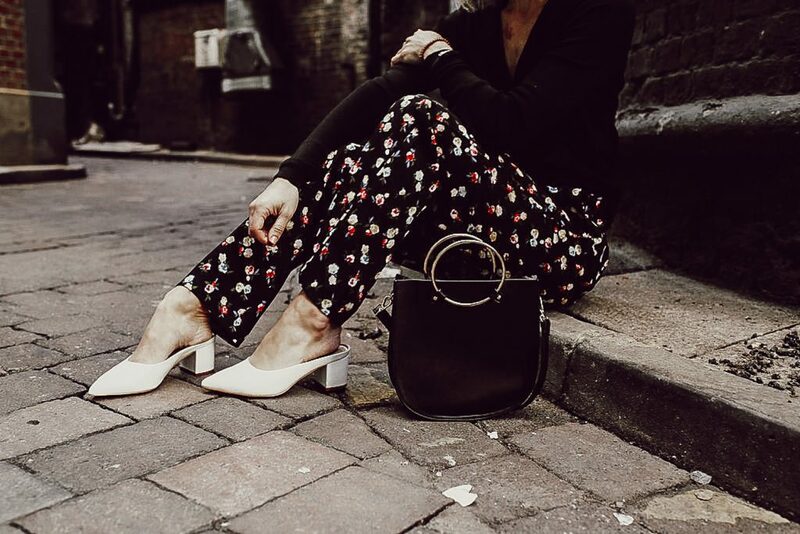 Floral Wide Leg Pants c/o // Who is ready for spring? ME!!! 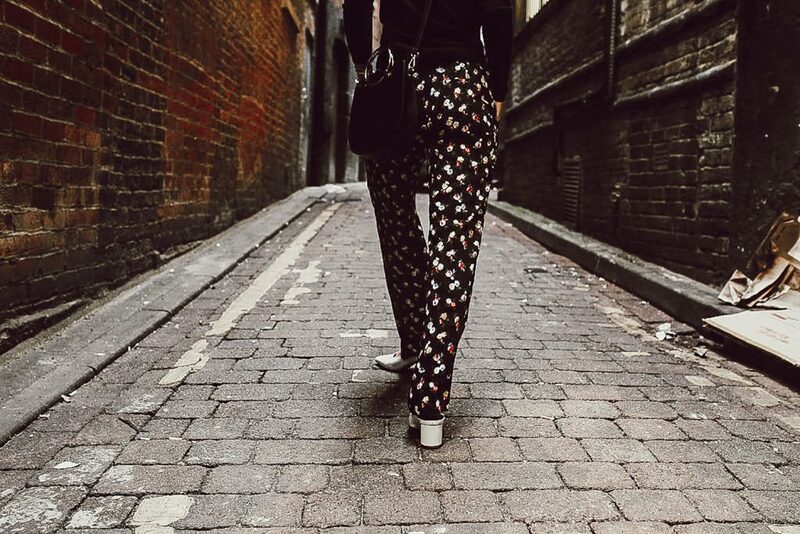 These pants are certainly getting me in the mood with this floral print! Pointed Toe White Leather Mules // I’m loving the white shoe trend that is back in full swing! These are great for work or for everyday! Cat Eye Sunglasses // One of the hottest trends right now are these cat eye sunglasses! Love these pair from Zara! To highlight National Women’s History Month with Ann Taylor, HERlead is a fellowship program that they are supporting and encouraging those to learn more and support. HERlead is program open to high school women to help nurture their leadership skills in the workplace and community. Ann Taylor has helped connect many of these young ladies with inspiring mentors. To learn more about the program, CLICK HERE. 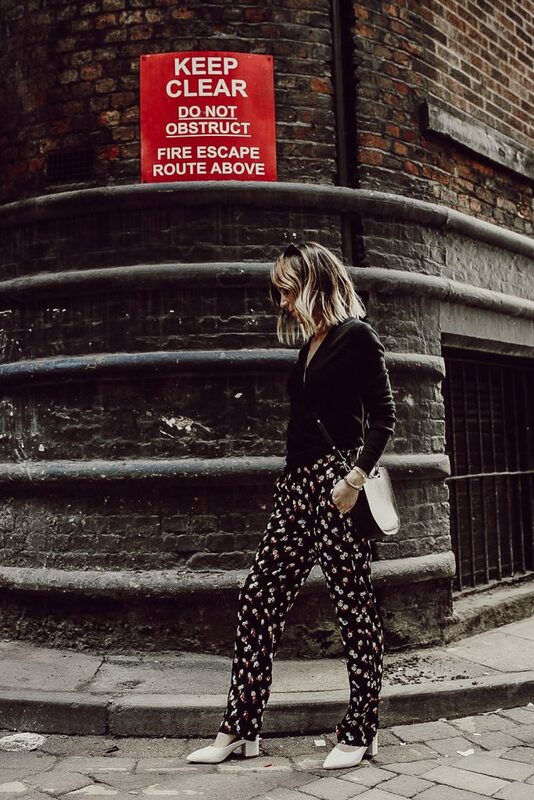 A few weeks ago I was in Manchester, England visiting a few friends and was able to bring this pant look along! The versatility of this full Ann Taylor look is what has me smiling! I love that you could wear this to work and then to event / drinks / etc post work. Each piece has the flexibility to worn on it’s own and styled through several seasons too!